When choosing outdoor columns for your porch or shaded patio, it’s important to consider the material that you will use. Columns are an important part of your porch and exterior home design. They not only serve a functional purpose, providing structural support, but they also have a big impact on appearance, affecting both the look and curb appeal of your home. It’s important to choose the right material for your exterior columns to ensure they blend with the style of your house, provide long-lasting durability, and work with your budget. Aluminum columns have many advantages for homeowners looking for reliable, affordable, and attractive columns for their property. There are many reasons why using aluminum columns is becoming a more common and popular choice. Perhaps the biggest advantage to using aluminum columns is that they are the most durable and long-lasting material. With aluminum columns, there is no need for regular maintenance or repair, beyond an occasional cleaning. Unlike wood, aluminum doesn’t warp, rot, or split. Unlike some materials, like iron, aluminum doesn’t rust or corrode. You can expect your aluminum columns to last for years or decades with no need for upkeep or continued expenses. With any outdoor columns, it’s important that your material can provide the proper structural support and strength. Using the wrong material can result in property damage or injuries due to collapses. Aluminum columns can be used for load bearing and can support balconies, overhangs, and covered walkways. Aluminum columns come in a variety of styles, allowing them to blend in with any type of exterior design. Round fluted columns can provide classic and refined elegance, while square fluted columns can mimic the look of wooden columns. Square smooth and square panel columns fit in perfectly with modern designs, providing a sleek, clean look. Aluminum columns are used for a variety of buildings, including residential, commercial, and public properties. Due to their versatile style and appearance, aluminum columns work just as well with hotels, restaurants, or churches as they do with houses or vacation homes. CPL Aluminum Railings & Glass can help find the perfect choice of columns for your home. We provide premier aluminum columns and can handle the entire process from design to installation. Our columns come in a variety of styles, and we offer custom designs that can be built specifically for your property. 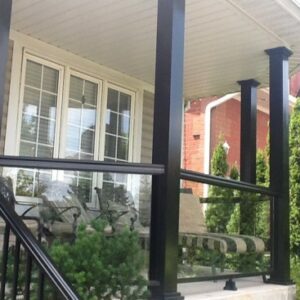 CPL Aluminum Railings & Glass is a Canadian company founded in 1989. 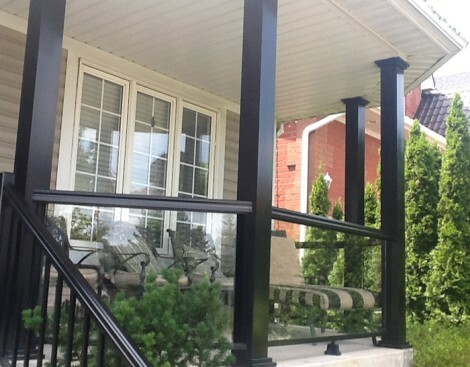 We are a leader in the manufacturing, supply, and installation of aluminum and glass railings in the GTA and Ontario. All our offerings are rust free, ensuring years of maintenance-free reliability. For more information, please call (905)-850-5590 or e-mail cplaluminumrailings@bellnet.ca. Next Next post: Why Choose Frameless Glass Railings for Pool Areas?